Let’s face it, relocating can be stressful so why not let us at Like Clean Group take that stress away from you. We’ll handle the end of lease clean, you handle the rest. Our affordable end of lease cleaning services in Adelaide eliminate the stress of having to worry about getting a full bond return at lease end. Real estate agents and property owners in Adelaide have strict guidelines when it comes to end of lease cleans and refunding bonds to tenants. But that’s a walk in the park for our expert cleaners who use a Real Estate Institute of South Australia (REISA) approved checklist to ensure that you’ll get 100% of your bond returned to you, no stress. Our team can tackle any space; nothing is too much of a challenge for them. Together with our high-tech equipment, eco-friendly cleaning products and their skills, even the dirtiest of spaces will be left sparkling clean. After using our services, you’re guaranteed to get 100% bond return at the end of your lease. End of lease cleaning has never been so easy! Our end of lease cleaning service covers the entire house, including the entrance way, living areas, kitchen, bedrooms, bathrooms and hallways. Our professional cleaning team has extensive experience and know exactly what it takes to meet end of lease cleaning standards. Their REISA-approved cleaning checklist guarantees only the best service. You will be surprised by our amazing job! Your satisfaction is 100% guaranteed so once we’ve completed a cleaning job, we’ll use your feedback to improve our cleaning services. We’ve proven time and time again that our services are first-class. Our clients are left feeling at ease, knowing that they’ve enlisted the best in the business when it comes to end of lease cleaning in Adelaide. With 1000’s bond cleans in Adelaide under our belt, our experienced team knowns exactly what is required to ensure that you receive 100% of your bond back when you exit your rental property in Adelaide. We’ll clean your rental property efficiently, thoroughly and professionally, not leaving any stone unturned. You can count on us to help you have a stress-free relocation, no surprises. MOVING OUT OF YOUR RENTAL PROPERTY IN ADELAIDE? Make your property manager/owner happy by enlisting the best in the business. We at Like Clean Group remove the stress from relocating and offer the most comprehensive and affordable end of lease cleaning service in Adelaide. 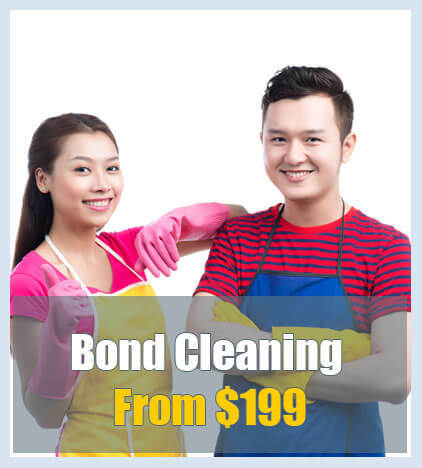 Call our team today to book the most affordable bond cleaning service in Adelaide! WHY CHOOSE LIKE CLEANING BOND CLEANING SERVICE? STRESS-FREE MOVE WITH OUR 100 % BOND BACK GUARANTEE (T&C’S APPLY). WHAT MORE COULD YOU ASK FOR? We’re results orientated and customer focused. Our aim is to ensure that you’re completely satisfied with our service; we work hard to keep our promises. Our range of bond cleaning services ensures that all of your end of lease cleaning needs will be met. From standard bond cleaning to specialised services, we cover it all; we have what you need. Our specialist services include professional pressure cleaning, pest control, upholstery cleaning and so much more. Don’t stress about your bond clean, get in touch with us so we can solve your end of lease cleaning problems today. We strive to keep our promises, that’s why we ensure that only the highest quality service is provided to each and every customer. We guarantee you a full bond refund at lease end so we work hard to keep that promise. We don’t cut corners and provide comprehensive end of lease cleaning services that will impress even the most “hard to please” property managers and owners in Adelaide. If you’re looking for a bond cleaning company that knows what it takes to meet the strict end of lease cleaning requirements then get in touch with us today. We would be nothing without our expert team of dedicated cleaners; they’re customer focused and know what it takes to please property managers and owners. They are highly trained and will go above and beyond to ensure that you get 100% of you bond back at lease end. Don’t stress, they’ll look after the bond cleaning for you. Our bond cleaning team consists of only the most skilled cleaners in Adelaide; they’re certified, insured and police-verified to ensure that you receive the highest quality service. Our professional cleaning team is highly skilled and trained, they have an eye for detail and will clean your house from top to bottom; no hard to reach places will be left undone. If your property manager or owner isn’t satisfied with the bond clean, our team will come back and fix the problem. .
See what’s included in the end of lease cleaning service? Our bond service aims to ensure that the cleanliness of the property meets the required standards of the Property Manager (under the Residential Tenancies and Rooming Act 2008), and therefore ensures that the full bond is released to the tenant at lease end. Our 100% bond back guarantee (T & C’s apply) only covers the areas that you have selected from our end of lease cleaning services. End of Lease cleaning in Australia can be quite complicated so that’ why we’re here to help. Ultimately, it’s your responsibility to ensure that all the components of your end of lease clean have been covered, so contact our team of cleaning experts in Adelaide if you need clarification. Like Clean Group in Adelaide uses innovative cleaning techniques but we can’t perform miracles. Some items will have “normal wear and tear” from daily use, so we can’t make the item look new again. We will document our services with before and after photos to show the property manager/owner that our professional cleaning services have ensured that the item has been brought back to the best possible condition. Due to the extra time required to clean a furnished property, it will be quoted differently to an unfurnished property. The following cleaning services are an additional cost and will appear separately on your quote as an additional item. NOTE: If they aren’t listed on your quote then they aren’t included. This list does not include all of our speciality services so get in touch with our cleaning team today if you require anything further like repairs, painting services etc. What’s not included in our end of lease cleaning service? Our team will spot clean your walls for insect marks and the like, however, they do not clean the entire wall. If marks exist that are beyond normal ‘wear and tear’ then get in touch with our cleaning team for this additional service. Discoloration of items can happen with normal wear and tear; items like toilets, plastics and grout can turn yellow over time. It can be nearly impossible to return them to their original state without specialist cleaning services. Our bond cleaning service does not include cleaning ceilings. Our bond cleaning service does not include cleaning garage walls or floors. Any areas considered dangerous or a risk to our team will not be included in our bond cleaning service. Broken or cracked power points or switches, bio waste or any other hazard than is considered dangerous will not be cleaned. Due to the composition of these materials, it can be hard to fully remove stains and a specialist may be required to bring the material back to its original state. Our team of cleaners do not clean at heights; any area that requires a ladder to clean will not be included in our bond cleaning service. For example, windows on the second floor will not be cleaned. Damp spots can be extremely hard to remove and can occur anywhere around the property, often “dry wall” plaster can be affected. We will do our utmost best to remove any mould and marks from damp spots, however there are occurrences where we can’t completely remove these spots, and if removed, they can return quickly if the area is damp. We do our best to remove mould from all areas around the property, however mould can be implanted into grout, silicon and other areas; these areas will require a specialist to restore them back to their original state. Areas that require specialist cleaning equipment, chemicals or a trained technician are not included in our standard bond cleaning service. For example, pressure cleaners for stains on a garage floor), painters or plasterers to repair holes in walls. These services can be provided as an additional service so speak to our team to add these additional services to your quote. Items such as furniture, fridges or any items not listed in the inclusions will not be cleaned unless otherwise agreed upon in writing by both parties. Our team of cleaners will not clean inside cupboards, if items are not removed prior to them entering the premises. Our team will not clean decorative items including ‘nick knacks’, frames, vases, lamps, clocks, fruit bowls, linen and any other decorative item. 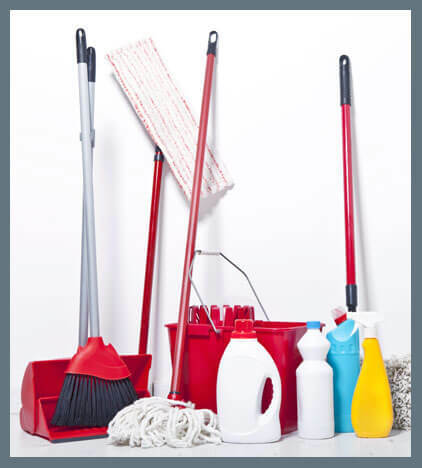 Our team of cleaners do not clean nor warrant all kitchen items that are located inside cupboards and draws. Our bond cleaning services does not warrant any cleaning inside or outside of your garage. Outdoor areas are places that can’t be fully closed off from weather elements, such as balconies and patios, or an outside area that has only three walls. Our team will clean any outside area, however due to the effects of weather we can’t warrant these areas. Our bond cleaning services include cleaning outside glass (excluding glass at heights or glass that is difficult to access) however due to the effect of weather we cannot warrant this. Our bond cleaning service includes cleaning outdoor windows (excluding those at heights or those that are difficult to access) however due to the effects of weather we can’t warrant them. We are not be responsible and do not warrant any items post pest control that may require additional cleaning, that are directly related to the pest control service performed. For example, dead animals and insects that have gathered after the service has been completed. WE BELIEVE IN OURSELVES and you should too! We do it by the book with the REISA-approved cleaning checklist. We offer 100% bond back guarantee (T & C’s apply) because we believe in the quality of our cleaning service, our customer service and our skilled cleaners; we know that you will receive the best service possible in Adelaide, South Australia. Our experienced cleaners are well trained, knowledgeable and work according to the REISA-approved cleaning checklist to ensure that you get your full bond back at lease end. If you want a stress-free move out of your rental property then look no further, get in touch with our cleaning team in Adelaide today.